CML Microcircuits now offers increased design support for the rapidly-expanding global market digital mobile radio. With the company’s latest product offerings, designers can now simply develop dual-mode (digital/analog) radios for personal and wearable radio formats operating at up to 2W and 5W, targeting short and medium-range transmissions respectively. 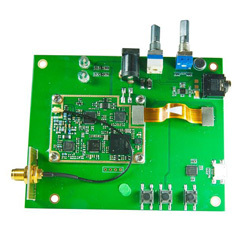 The SCT9389 is a design example for a highly integrated dual-mode solution that includes the SCT3268TD Digital Baseband Processor with embedded host controller, RF transceiver and RF power amplifier in a single small form factor design (48mm x 35mm). Created specifically to meet European standards, the design employs the company’s proprietary direct conversion technology and is provided with the entire protocol stack embedded within the device, as well as the physical layer, data link layer and call control layer. Adopting a proven RF solution speeds development time significantly, particularly for those less familiar with PMR requirements.